Natural stone (marble, granite, limestone, travertine) since ancient Greece (Hellas) up today is considered an excellent building material. 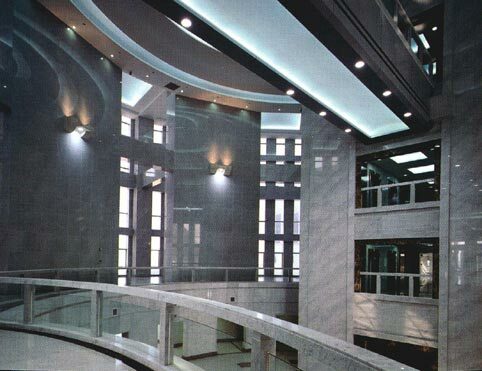 The building industry traditionally was using natural stone (marble, granite, limestone, travertine) in interiors (floor, wall), mostly in bathroom and kitchen. 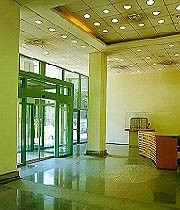 Nowadays, the use of natural stone is more wide-spread and varies. 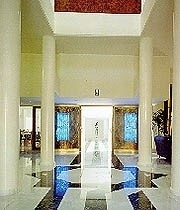 Superb marble floor of white marble tiles combined with black marble. Plain and tasteful. 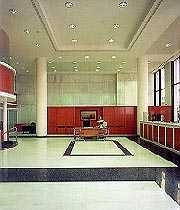 White veined marble wall and metal for a modern commercial center. 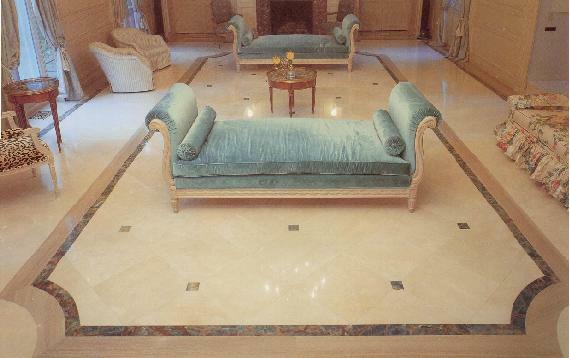 A luxurious marble floor of beige marble tiles and coloured granite. 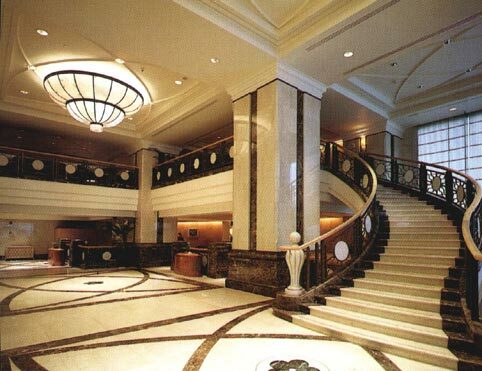 Same marble types also used for wall and stunning marble staircase. 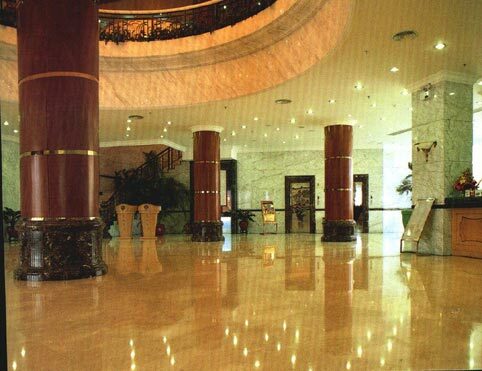 Impressive high polished marble floor along with marble coated columns. 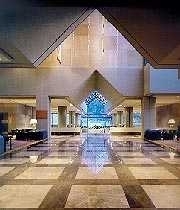 Natural light penetrates from above and creates reflections in the high polished marble floor. 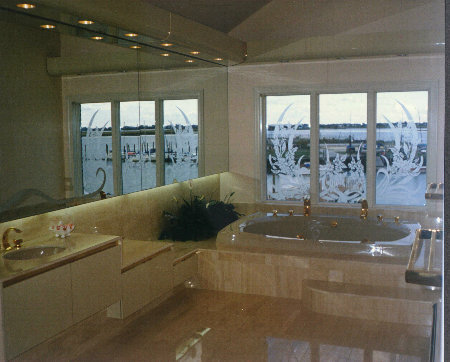 Elegant marble bathroom: Mirrors, plenty of light, high polished marble floor and wall tiles along with marble vanity tops. 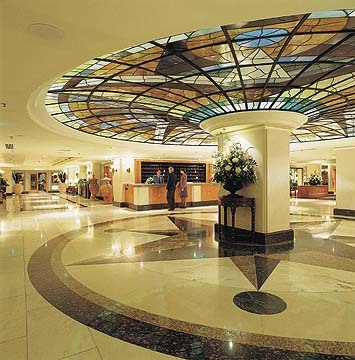 Black and white marble tiles on a beautiful marble floor pattern that gleams in the sun. 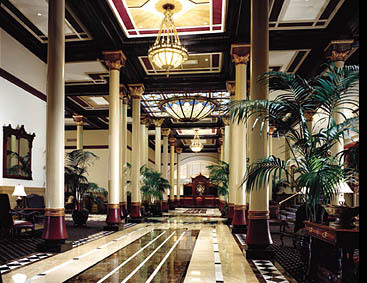 Bright and spacious lobby, distinguished with a high polished marble floor. 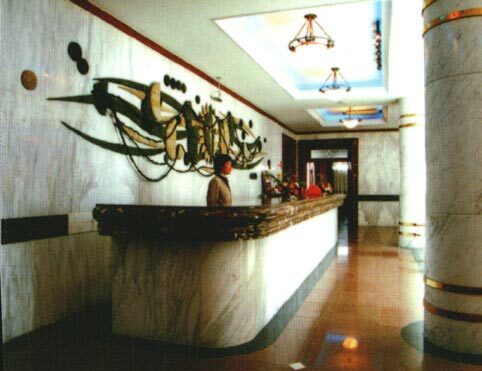 Marble wall, marble column and marble floor have been inlaid with contrasting of light and dark colours. 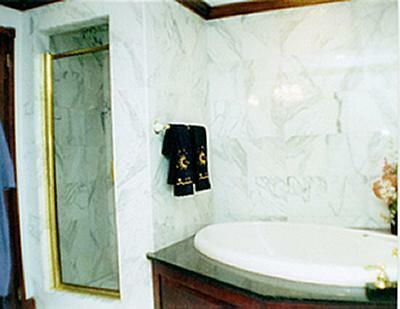 In this bathroom book-matched polished wall marble tiles and marble vanity tops are chosen, adding a sense of luxury. Topalidis Marble & Granite has been committed to offering quality natural stone at competitive prices along with excellent service. We have supplied with natural stone (especially greek marble) many major projects including villas, office premises, hotels, banks, residencial building, commercial centres, mosques, churches, apartment complexes, train stations… allover the world.